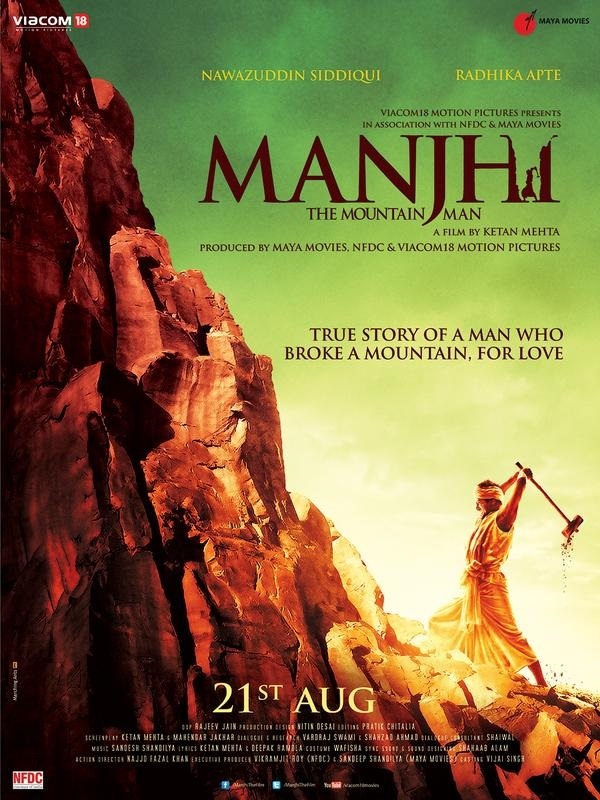 Manjhi is based on a true life story of "Dashrath Manjhi" who broke a Mountain - for Love. Dashrath Manjhi was a poorest from the lowest of the low castes, living in a remote village cut off from the world by a rocky mountain range. Life for him was a daily struggle for survival. He loved his wife, Phaguniya, beyond belief. One day while climbing the mountain to bring him food, his wife slipped, fell and died. Overwhelmed by grief, Dashrath decided to carve out a path through the mountain, so that no one else would suffer his fate. For 22 years, all by himself, with just a hammer and a chisel, he hammered away at the rocks, till the path was carved out from the mountain. It is a unique monument to love - An inspiring story of the triumph of the human will - and a passionate love story of the wretched of the earth.